Truth be told, while having mlb.com was nice, there really was no great benefit to owning what the marketplace would perceive as the wrong domain name. But that was not the case in the early days of the World Wide Web, where initials and abbreviations ruled. The present-day domain name, Morganlewis.com is considered the proper and appropriate domain name for the 2000s. In the end, they took care of the client and have this great anecdote of the “early days of the web” to tell. This, of course, is a roundabout way of introducing this months’ Web Marketing Today column topic on the price of purchasing the right domain name in 2014. When a new law firm is formed or renamed today, the chances of the preferred domain name being available is pretty slim. The irony is that in many cases it is not because another business beat you to it. Much of the time it is because one of the many domain name entrepreneurs out there have stockpiled hundreds of thousands of names to resell to those that want or need them. It is big business. And in many cases, there are lots of middle men trying to broker sales between the owner and business–which simply means an additional mark-up. The article details concerns and considerations when seeking to buy a domain name for your law firm in the present day, from avoiding scams to purchasing the proper name for use in professional services. Although the options for a domain name are endless (and can be purchased for a few bucks), the proper domain name for your law firm is typically very limited. It is your e-mail address and as much a part of letterhead or a business card as your phone number. 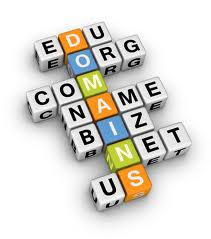 Be sure to follow the proper steps in acquiring a domain name for use in your new law firm entity. Don’t bother trying for mlb.com–it is taken.